Improving Business Processes: Does Anybody have an Idea? As part of process redesign initiatives, substantial time is spent on the systematic description and analysis of the as-is process. By contrast, to-be scenarios are often generated in a less rigorous way. Only one or a few workshops are organized for this purpose, which rely on the use of techniques that are susceptible to bias and incompleteness, e.g. brainstorming. 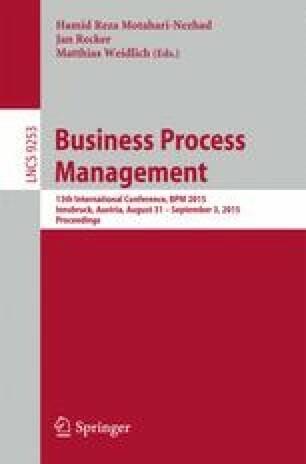 In this paper, we evaluate a new technique for generating process improvement ideas: the RePro (Rethinking of Processes) technique. Its backbone is formed by process improvement principles that guide practitioners in a systematic and comprehensive exploration of the solution space. An experiment was conducted to compare the performance of the RePro technique with traditional brainstorming. Results confirm the potential for using a more advanced technique during process redesign workshops, but also show that the way such a technique is used strongly affects its performance.